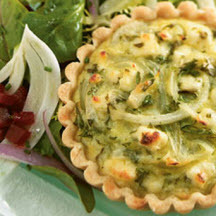 CooksRecipes has quality, kitchen-tested recipes for a variety of appetizer cheesecakes, quiches and tarts that are perfect for parties and entertaining. 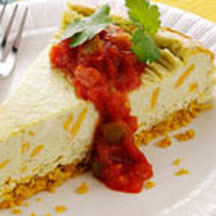 Serve this rich, savory cheesecake at room temperature as an appetizer or entrée. 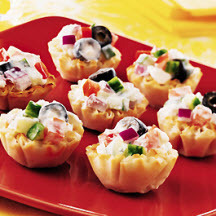 These festive miniature feta cheese appetizer tarts are sure to be a hit. Recipe by Chefs Frank Randazzo and Andrea Curto-Randazzo.